Dr David Kingsley is our Chief Executive Officer at Care in Mind. He has spent many years as a Consultant Child and Adolescent Psychiatrist with a particular interest in young people with complex presentations. In 2007 he developed Woodlands, a Low Secure Therapeutic Service, for Priory Group, which offers an innovative therapeutic model to young people with severe self-harming presentations who have often become stuck in other services. The service won the NAPICU ‘Team of the Year’ award in 2009. In 2008, David went on to develop Care in Mind in response to the difficulty he was finding in identifying high quality and well-skilled residential step-down options for young people with significant ongoing needs and risks at the point of discharge from secure services. David believes that carefully managed therapeutic risk taking and working collaboratively with young people and families is essential to facilitate successful discharges. He also feels strongly that the development of a coherent and skilled team, who feel valued and who bridge the boundaries between mental health and social care, has been essential in the success of our organisation. David maintains a clinical role in Woodlands and is also Clinical Director for CAMHS services across Priory Healthcare and Partnerships in Care. He is a member of the NHS England CAMHS Clinical Reference Group and the Secure CAMHS Clinical Advisory Group and has been involved in the development of an Adolescent Low Secure Network. He sits on the executive committee of the British and Irish Group for the Study of Personality Disorder and is Honorary Treasurer of the Adolescent Forensic Specialist Interest Group of the Royal College of Psychiatrists. He is an Honorary Research Fellow at the University of Chester. In his spare time David is a classical musician and also enjoys cooking, skiing, hill-walking and spending time with his family. Sharron has over 30 years’ experience in mental health across the age range, working in open and secure inpatient settings and in the community. Around 10 years ago, Sharron specialised in adolescent mental health and has since worked with some of the most risky and poorly young people. Sharron is a qualified nurse who has advanced qualifications in Child and Adolescent Mental Health. She has been involved in the development of Care in Mind from the beginning and has enjoyed developing partnerships with providers and commissioners and working closely with them to support young people to achieve their potential and move successfully toward their goals. 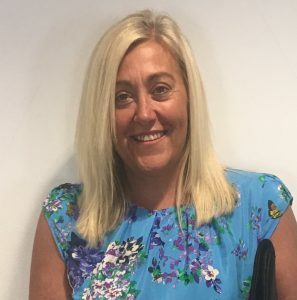 Sharron now holds a more senior operational role and has successfully developed a senior management team with responsibility for Quality and Compliance, Finance, HR and Training. As Managing Director, Sharron takes overall responsibility for the range of services offered by Care in Mind. Sharron is the Clinical Governance Lead and the Nominated Individual. Sharron is passionate about archaeology, was once on a TV game show and once dated the drummer from Adam and the Ants. 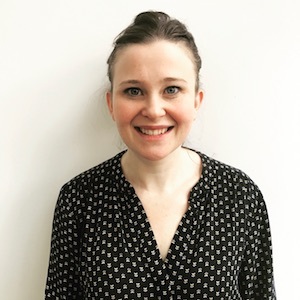 Rachel is a Consultant Clinical Psychologist who has specialised in the field of personality disorders and complex trauma, both with adults and adolescents. Rachel has worked in both inpatient and community mental health services and has been involved with Care in Mind since its inception. In her role as Clinical Director she is responsible for providing clinical leadership and ensuring effective management and supervision for all senior clinical staff. She is responsible for effective clinical governance arrangements within the organisation and advises on matters of clinical policy and practice, staffing, education and training. Rachel works in close partnership with our senior team and is jointly accountable for the quality and performance of the service, strategic planning and business development. Rachel used to be heavily involved in extreme sports; sky diving, bungee jumping etc. She is currently undertaking a diploma in interior design. Julie has over 20 years experience of working in Healthcare in Community, inpatient and secure setting across multiple service lines including secure, acute, eating disorders, autism, learning difficulties, rehabilitation and recovery, child and adolescent mental health and personality disorder. More recently Julie has been involved with working with the NHS in collaborative partnerships to ensure that young people have access to the right care at the right time and in the right setting. Julie has degree level and postgraduate qualifications in Science and Business. 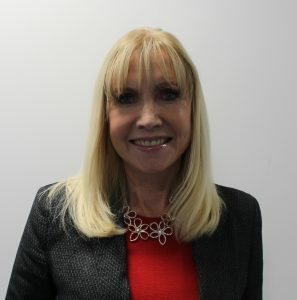 Julie is an experienced Director of Business Development and is skilled at successful negotiation at Board level; her focus particularly is on developing collaborative partnerships with the NHS and local authorities to enable services to be developed to enable young people to reach their goals. Julie sits on the Executive Management Team at Care in Mind and is responsible for key aspects of Business development across Care in Mind, including referral coordination, marketing, contracts, service development and communication with internal and external stakeholders. Julie’s first job was as a secondary school teacher of physics, chemistry and Biology at GCSE and Biology A Level. She is passionate about dancing, walking and music and has taken the lead part in a production as one of the brothers in Joseph and Amazing Technicolour Dreamcoat. Jon is a Chartered Accountant with more than 35 years experience in finance, including 15 years experience of working as Finance Director for companies specialising in mental health and social care. Prior to working in the health and social care sector, Jon worked for KPMG and Deloitte specialising in corporate finance. 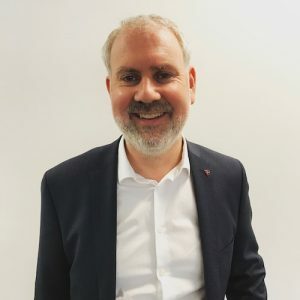 Jon is the Finance Director for Care in Mind, part of the senior management team for the business and is responsible for the financial management of the company. Jon has completed 3 Ironman triathlons, plays league table tennis in Wilmslow and Macclesfield and enjoys looking after his allotment.